Birthplace : Westford, Massachusetts, U.S.
Pat Bradley is an American professional golfer. 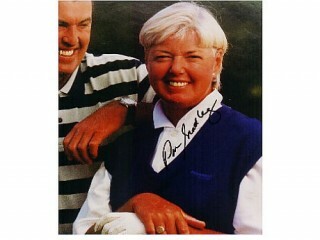 She became a member of the LPGA Tour in 1974 and won six major championships and 31 LPGA Tour events in all. 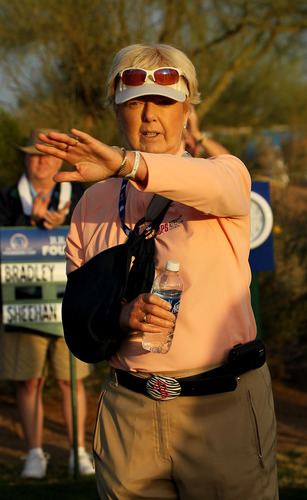 Bradley joined the LPGA Tour in 1974 and got her first win at the Girl Talk Classic in 1976 (she also finished second six times that year). Her breakout year was 1978, when she won three times. Bradley's most productive years came in the early to mid 1980s. She led the LPGA in wins in 1983 (4) and 1986 (5). Her first major came at the 1980 du Maurier Classic, then she added the 1981 U.S. Women's Open and 1985 du Maurier. But 1986 is the year for which Bradley will forever be remembered. That year, she won three of the four LPGA majors - the du Maurier, Kraft Nabisco Championship, and LPGA Championship. She finished fifth in the U.S. Women's Open. She won the money title and scoring titles that year, as well. In 1988, Bradley was diagnosed with Graves Disease. She played 17 tournaments, but made the cut in only eight. But she returned to form in 1989, winning once. Three more wins followed in 1990. Her last big year was 1991, when Bradley won four times, and captured her second money and scoring titles, and also was named Player of the Year for a second time. The last of her LPGA victories came in 1995. According to the World Golf Hall of Fame, "during her prime, Bradley competed in 627 tournaments, posting 312 top-10 finishes, with 208 of those in the top five."